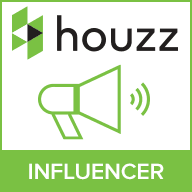 Is your home earmarked to be party central this New Years Eve? If so, make sure you and your guests have a New Years Party to remember, get your dining room NYE Party-ready with these dazzling interior ideas. There’s no such thing as too much sparkle on New Years Eve, it’s probably the one time of the year when glitz an sparkle isn’t seen as tacky and overdone. Really get the party started with some sparkling sequins. 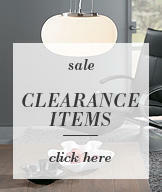 Scatter over your dining table and surfaces, even place them inside helium filled balloons. Our new LED Twig Lights in Silver is the perfect addition for a sparkling New Years do. 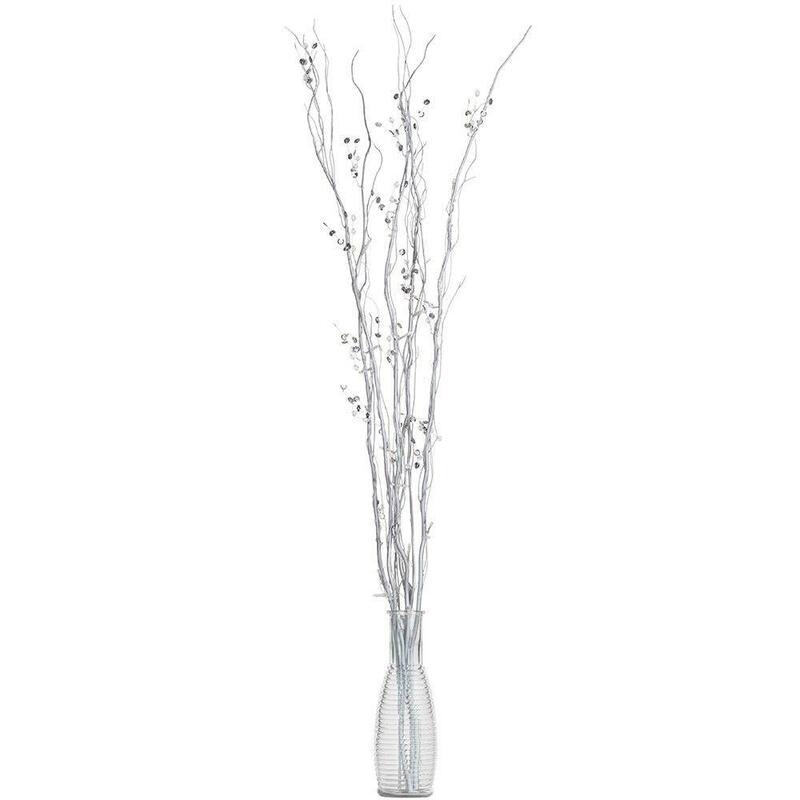 Silver branches entwined with sparkling sequins twinkle and shine when illuminated, they’re battery operated too which means no loose wires to trip over. Place them in a vase in the centre of a table for a statement conversation starter or place them in a side table or in the corner of the room to emphasise the space. 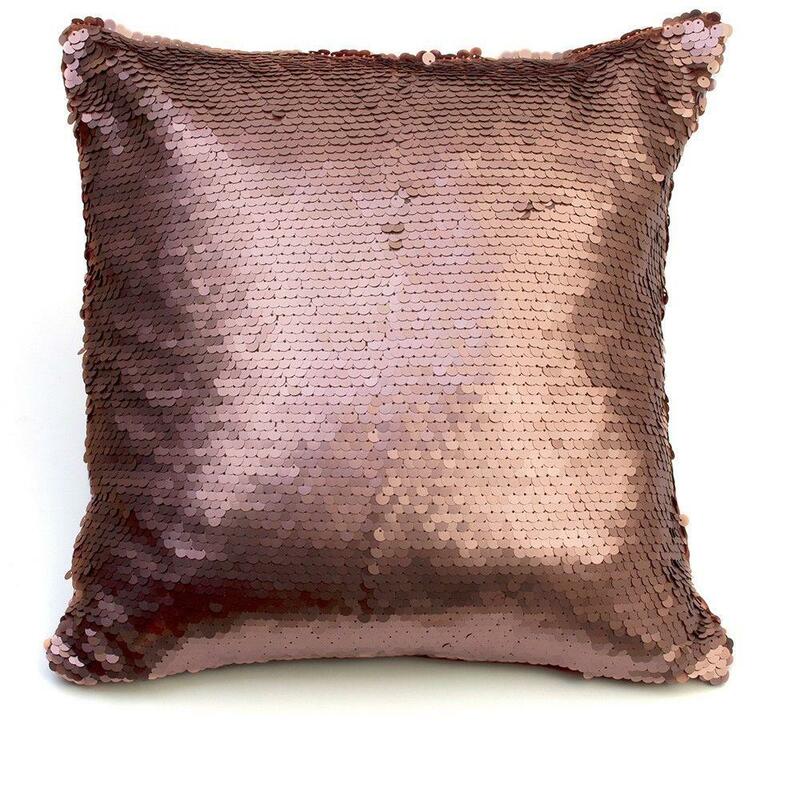 Our new Glitz Sequin Cushions are a must for any sit down guests, an easy way to add sparkle. Our Bronze option is bang on trend for for 2015/16. This luxurious range features hundreds of smooth sequins overlapped in a scaly fashion. We have updated the colours and finishes of the range showcasing a matte finish as oppose to our usual sparkling metallic design. 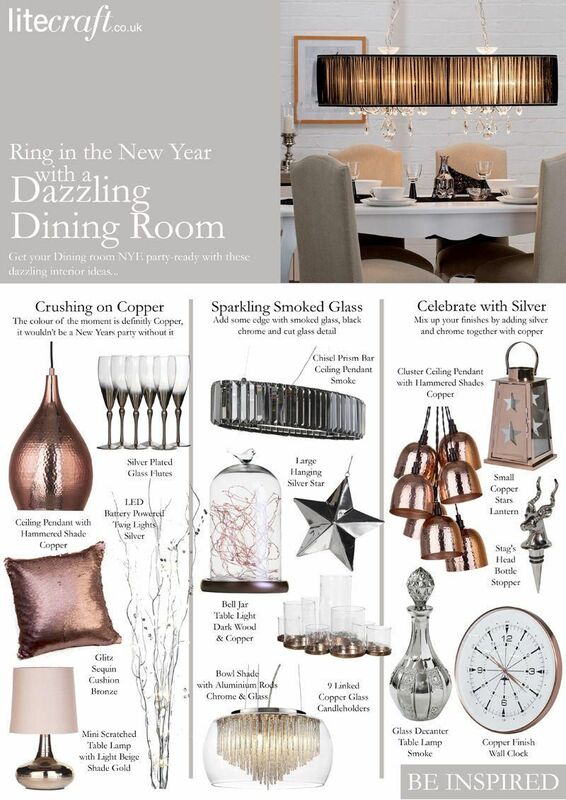 Adding copper tones to your New Year dining room is a must. This trendy tone adds a warm ambience whilst still being super cool and adding a modern edge. With out exciting new collection of copper fittings hitting out store and online this last week there’s no excuse not to introduce this colour into your interiors. Copper is so versatile, it can be incorporated into any room in the home whether large or small. Place with earthy wood tones for a rustic look or bare brick for an industrial loft converted look. Choose a large scale copper ceiling light to suspend over your dining table this New Year. 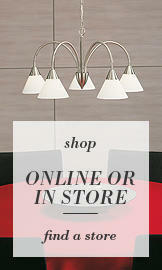 Our new Hammered Shade Pendant Range give you the option of one single pendant or a cluster of smaller pendant shades. Featuring a hammered design in a metallic copper finish these fittings will add a striking central statement to your New Year Party. Compliment the fitting by adding copper accessories such as tea light holders and copper trimmed champagne flutes. Choose our new Bell Jar Table Lamp to have your guests really crushing over copper. This is a stunning piece that we couldn’t wait to share with you. 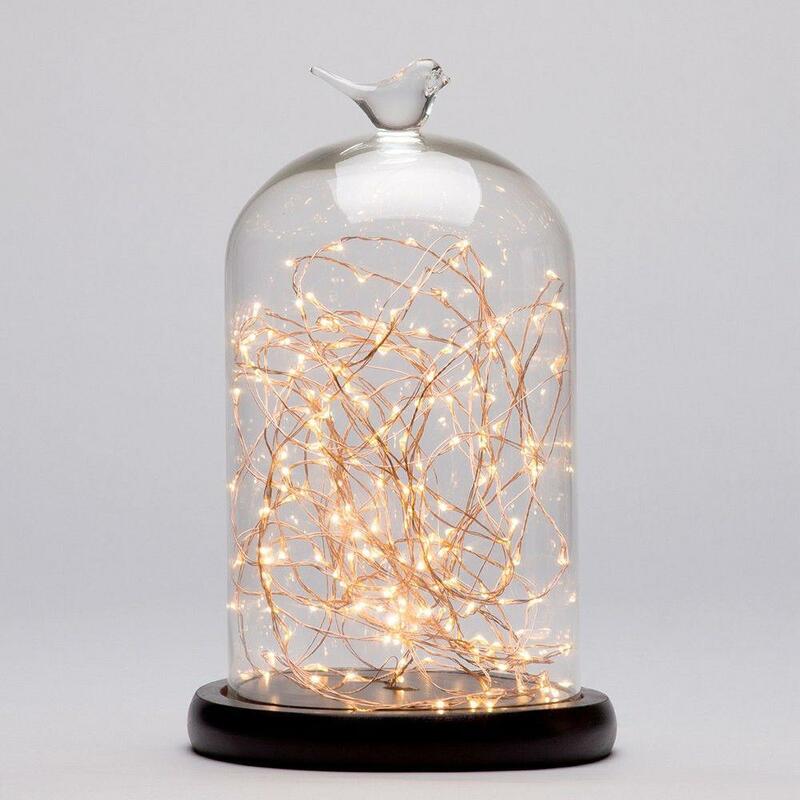 An entanglement of copper wire entwined with tiny sparkles of light is encased in a dome glass cloche casing, a glass bird sits atop the dome finishing off a sweet little fitting. Place this near your drinking station or side table to add a feature to your dining room. To maximise the dazzle impact introduce deeper glass tones such as smoke and black chrome to the copper, this will add contrast and depth to your party scene. Cut glass designs in a smoked finish are great to add to a sophisticated New Years Party scene too. 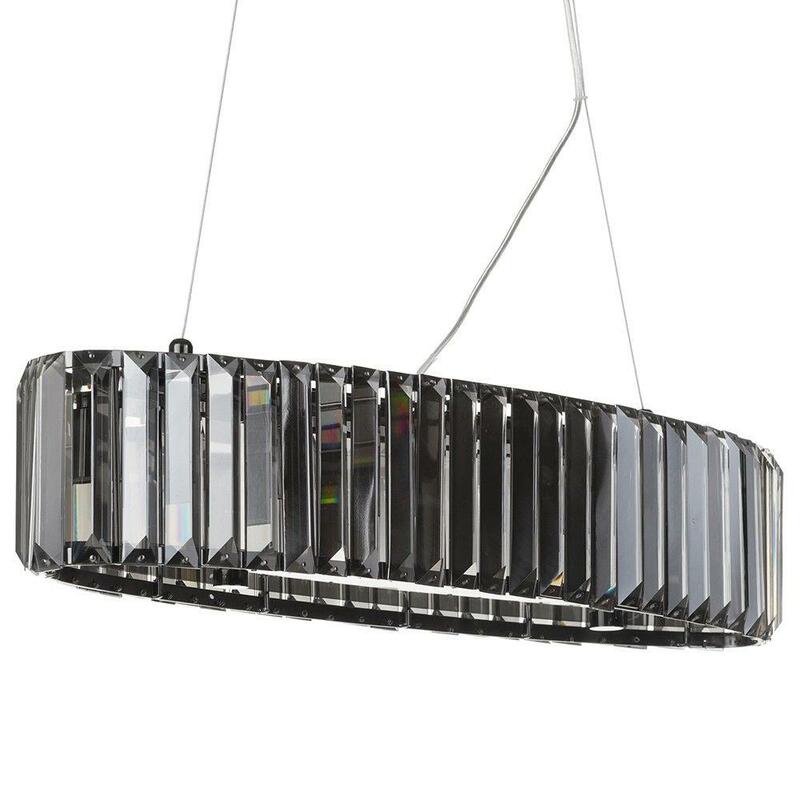 Our new Chisel Prism Bar Ceiling Pendant in Smoke boasts a rounded rectangular glass frame made up of prism cut glass crystal effect bars. A smoked grey finish gives this fitting a contemporary edge. 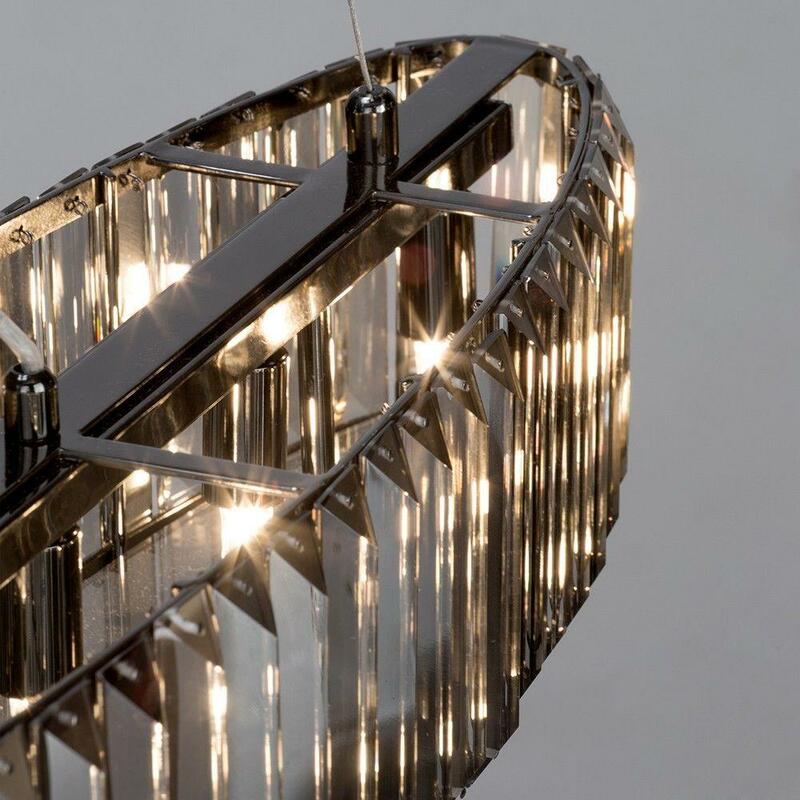 The 5 light aspect allows for a large scope of illumination, ideal to light up a large dining table. Choose this piece if you prefer smoked tones as oppose to copper . Our Glass Decanter Table Lamp in Smoke is the perfect companion for accent lighting. 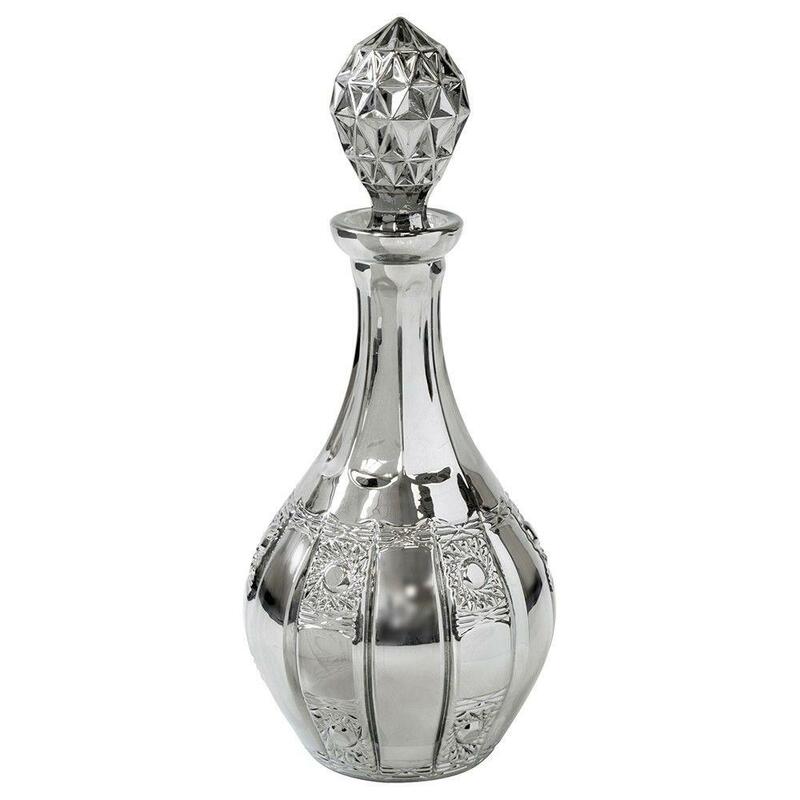 Replicating a nostalgic decanter design with a slender shaped base and faceted cut glass stopper, you can add a vintage element to your party. Don’t forget lots of bubbly to ring in the New Year!! We hope you all have a Merry Christmas and a Happy New Year from us all at Litecraft..
Love the Sparkling Smoked Glass items, perfect for a Dinner party! I really love the inspiration here. Lighting can really add amazing effects and change your home for the better – it’s really important. I’m currently looking for lighting ideas for my landing, and also for a vacant fireplace in my music room. I love LED Twig Lights in Silver and think these could be the answer to brighten up and add effect in the empty fireplace in my music room. Lovin’ the copper tones, now know what to restyle my conservatory with.